The Giant Banjo Frog (Limnodynastes interioris) is a large burrowing frog found in the Murray-Darling basin of inland NSW & Victoria. As with other burrowing frog species, Giant Banjo Frogs spend much of their life buried underground, emerging only after sufficient rain to breed. 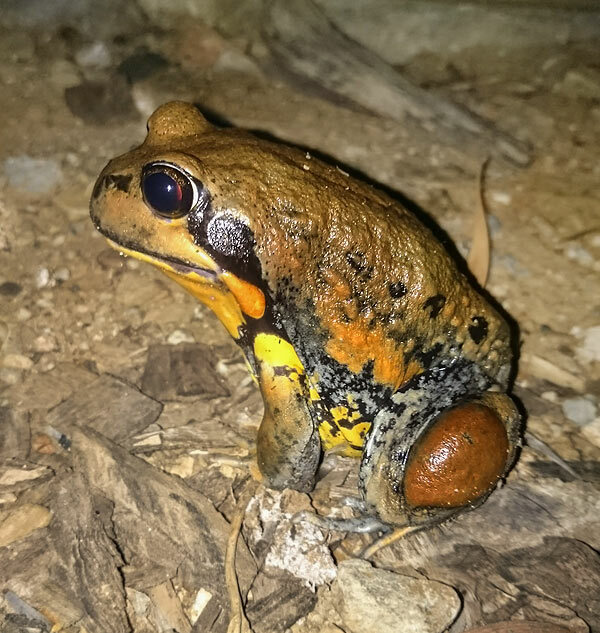 This species is physically larger than the Eastern Banjo Frog (Limnodynastes dumerilii) and makes calls which are similar, but generally lower in pitch. Males often call from burrows along the edge of a stream or from floating vegetation. 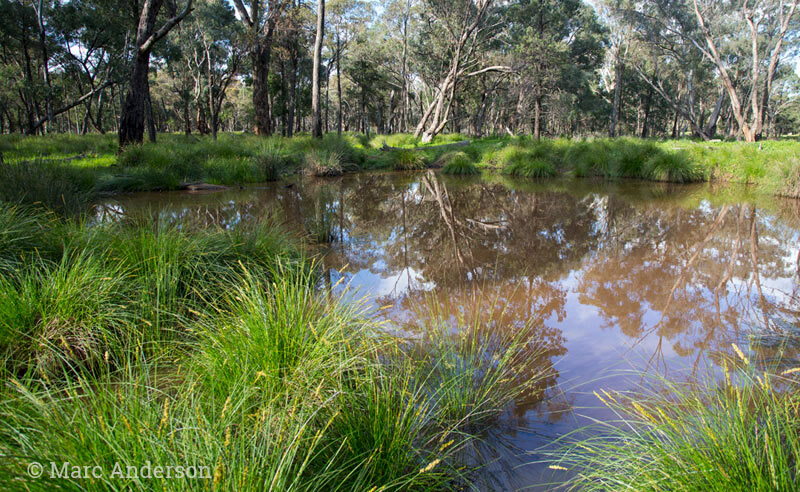 GBF1 Many Giant Banjo Frogs are calling in this sample, along with the staccato calls of Spotted Marsh Frog (Limnodynastes tasmaniensis) & the higher pitched ‘squelch’ of the Eastern Sign-bearing Froglets (Crinia parinsignifera). Recorded at night on the edge of a flooded wetland in open woodland, Backyamma State Forest, New South Wales. GBF2 Typical calls as well as an example of a longer, growling call. Also, the harsh rattling call of a Peron’s Treefrog (Litoria peroni) can be heard a few times in this cut. Recorded in Weddin Mountains National Park, New South Wales. GBF3 In this recording, shorter, higher-pitched calls can be heard, as well as a couple of growling calls. Recorded in Weddin Mountains National Park, New South Wales. Pure nature soundscapes and wildlife sounds from around the world.